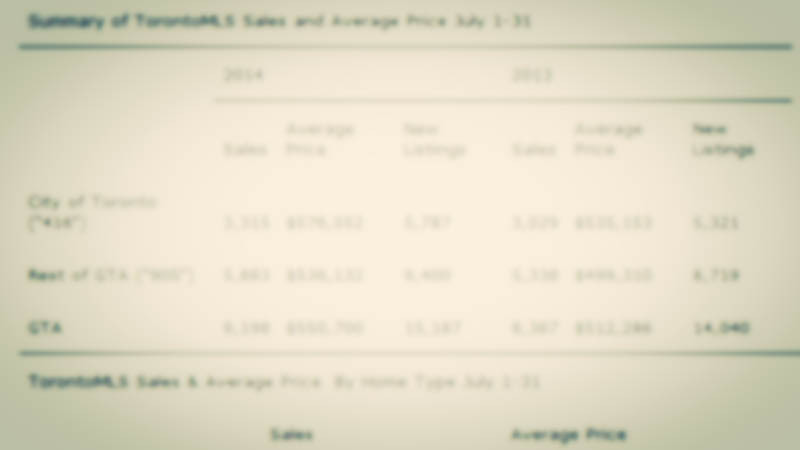 TORONTO, August 7, 2014 — Toronto Real Estate Board President Paul Etherington reported strong year-over-year growth for July 2014 sales and the average selling price. Sales reported by TREB Members through the TorontoMLS system were up by 10 per cent to 9,198. This was the second-best July sales result on record.